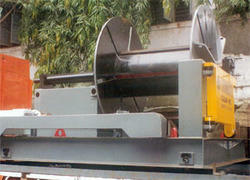 Take-ups/ Coilers for Wire Patenting, Wire Galvanizing, Wire Stress Relieving, Strand annealing plants, etc. We offer a wide range of spring testing machines that are fabricated using high grade material and are known for their application specific design, durability & corrosion resistance. Our range is used in different industries and is available at competitive prices. 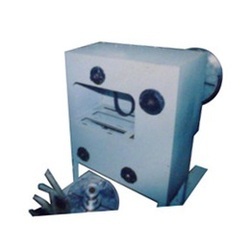 These are available in the capacity of few kg to 50 of Ton at market leading prices. Heavy-duty high tensile feed-wheel tensioner with stronger handle. For strapping with 3/4" ~ 1-1/4" x 0.35". Following are the list of some of our special purpose machines that we have manufactured successfully over the period of time. We are offering a wide gamut of Dual Head Coiler Machine in the market. These are manufactured from best quality material at state of art infrastructure unit. - Light and Heavy Duty Coiler and Recoilers for any specific operation. - 150 different combinations and specifications. Alternatives for only specific process.